Demonstration of the Cree 3W LED cool white and warm white energy efficient light bulbs. 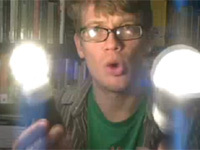 They are shown compared to a conventional 40W incandescent light bulb. Light Emitting Diode (LED) technologies last 100 times as long as incandescent, have no glass or filaments, use 90% less energy, are non-toxic, and convert significantly less energy to heat. 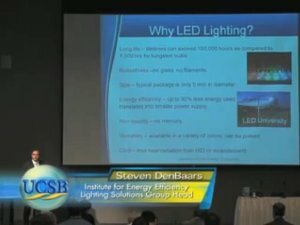 Explore the uses, problems and future of LED sources. Does Energy Efficient Light Bulbs Really Save Us Money? Join NASA engineers as they share the next generation of light emitting diodes, or LED, lighting. Find out how these energy efficient, longer lasting lights recently installed on the International Space Station will benefit us here on Earth. This video demonstrates a wide array of OSRAM Opto Semiconductor's LED lighting solutions. 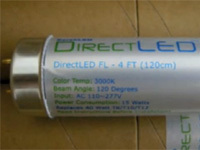 The viewer sees LEDs being used in several home applications such as cabinet, kitchen, and room lighting. With average life span of 40-50,000 hours and a power consumption of just 1/5 of the incandescent equivalent the future of LED lighting is indeed bright. 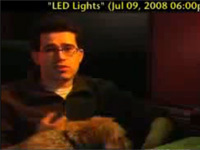 Watch this video to see examples of what LEDs can do for you.